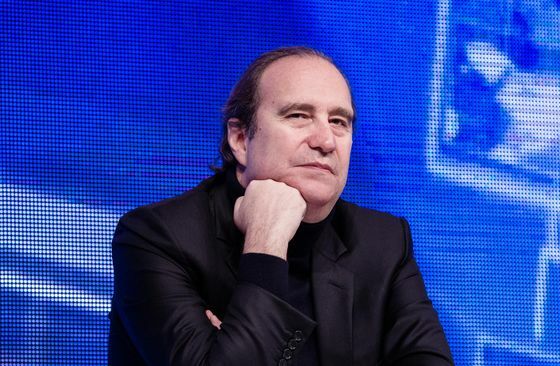 Xavier Niel has been losing money faster than his telecommunications company has been dropping customers. The 51-year-old French tycoon’s net worth is down $1 billion this year as Iliad SA, the firm he founded, has struggled to stop users from dumping its mobile telephone and broadband offerings. His fortune has slid to $4.1 billion from a peak of $10.7 billion in 2014, according to the Bloomberg Billionaires Index. On Tuesday, he appeared set to see more of his money evaporate as investors braced for further bad news from the company, the fourth-biggest telecom in France by revenue. Sure enough, it reported the loss of more than 126,000 customers in the fourth quarter. Iliad also said it wouldn’t hit a profit target until 2021, a year later than expected. But then a surprising thing happened; Iliad shares rallied 2.8 percent, closing at 93.06 euros in Paris. For Niel, a high school dropout who owns 52 percent of the company, the move may signal a long awaited reversal of fortune. “The numbers are still bad, but we have the impression that we really have reached the bottom,” said Alexandre Iatrides, an analyst with Oddo BHF, a Paris-based financial-services firm. Then again, this may just be a temporary respite for a magnate who has come to personify the hopes and fears of France’s budding entrepreneurs. Since he upended France’s mobile phone marketplace in 2012 with a deeply discounted offering called Free, Niel has relished challenging the corporate establishment. Investors liked what they saw, more than doubling Iliad’s share price in the five years ended 2017. Niel used his fortune to open a computer programming school with free tuition and finance the creation of Station F, a mammoth incubator for startups located in a refurbished Paris railway station. Yet his ruthless cost-cutting set off a price war that backfired on Iliad as it tried to cultivate higher-paying customers. Rivals Bouygues SA and Altice France SA have dropped prices even lower than Iliad’s to capture a bigger piece of the market. Iliad’s shares have tumbled 47 percent in the past 12 months, denting what was the sixth-largest fortune in France. Not that Niel, a man who owns the rights to the pop classic “My Way,” seemed too bothered about it. In December, he unveiled the company’s latest product at Iliad’s headquarters in the center of Paris accompanied by his partner, Delphine Arnault, the daughter of luxury goods magnate, Bernard Arnault, the third-richest person in the world. Investors may have drawn comfort from Iliad’s plan to explore raising cash by selling stakes in the thousands of mobile telephone towers it has built across the French countryside. The company’s 1.76 billion euros ($2 billion) of earnings before interest, taxes, depreciation and amortization in the fourth quarter beat analysts’ estimates. Then there’s Iliad’s Italian campaign, which it launched last May. On Tuesday, the company said it had already signed up 2.8 million mobile subscribers in that country.